The militant known as Jihadi John. A U.S. drone strike targeted a vehicle in Syria believed to be transporting the masked Islamic State militant known as "Jihadi John" on Thursday, Nov. 12, 2015, according to American officials. Whether the strike killed the British man who appears in several videos depicting the beheadings of Western hostages was not known, officials said. WASHINGTON (AP) — A U.S. drone strike targeted a vehicle in Syria believed to be transporting the masked Islamic State militant known as "Jihadi John," according to American officials. Whether the strike killed the British man who appears in several videos depicting the beheadings of Western hostages was not known, British Prime Minister David Cameron said Friday. Mohammed Emwazi was the target of an airstrike in Raqqa, Pentagon press secretary Peter Cook said in a statement. Officials were assessing the results of the strike, he said. A U.S. official told The Associated Press that a drone had targeted a vehicle in which Emwazi was believed to be traveling. The official was not authorized to speak publicly and requested anonymity. Cameron said officials are not yet certain whether a U.S. drone strike killed Emwazi. He said the strike had been a joint effort and that British intelligence agencies were working around the clock to find the British-accented militant, whom Cameron called the militant group's "lead executioner." Cameron also said the U.S. strike had been "an act of self-defense" and the right thing to do. He said targeting Emwazi was "a strike at the heart" of the Islamic State group. U.S. Secretary of State John Kerry, appearing at a news conference in Tunis, Tunisia, on Friday said, "We are still assessing the results of this strike." He told reporters extremists "need to know this: Your days are numbered, and you will be defeated." The Britain-based Syrian Observatory for Human Rights said that U.S. coalition warplanes struck an IS vehicle as it left the governor's office in the city of Raqqa, killing four IS foreign fighters, including a British commander. The Observatory said the bodies were charred, and Observatory chief Rami Abdurrahman said the commander killed in the attack was most likely Jihadi John but that he does not have 100 percent confirmation. Those being held by three British-sounding captors nicknamed them "the Beatles" with "Jihadi John" a reference to Beatles member John Lennon, Espinosa said in recalling his months as one of more than 20 hostages. Cameron said Britain has been "working, with the United States, literally around the clock to track him down." "This was a combined effort," he said. "And the contribution of both our countries was essential." Cameron said that "it will demonstrate to those who would do Britain, our people and our allies harm: We have a long reach, we have unwavering determination and we never forget about our citizens." Speaking to reporters in Jerusalem Friday, former British Prime Minister Tony Blair said, "If these reports are correct and several of those people from ISIS were killed today, I mean these people who were brutalizing, terrorizing, murdering people, of course it is really important that we take the fight to them and make them realize that they are going to be contested heavily." "It's no great secret; I think it is essential for Britain to play its part in the fight against this hideous extremism that is brutalizing the lives of so many people," Blair said. "It is important we play our full part alongside America and other allies and so if the UK government wanted to commit Britain to this fight in Syria, where after all ISIS are really headquartered, of course I will be fully supportive of that." 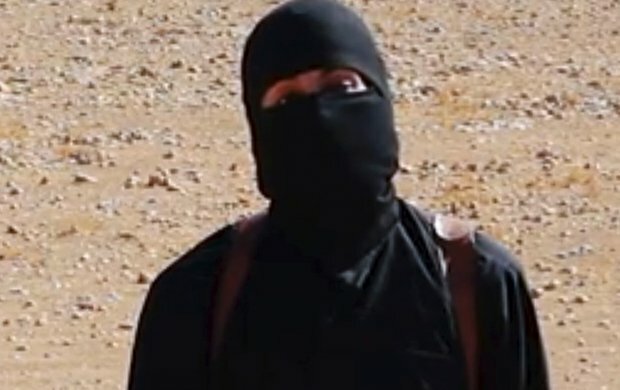 A friend of Henning has said she is still "skeptical" following news that "Jihadi John" may have been killed. Louise Woodward-Styles, who organized a candlelit vigil for the taxi driver after he was captured by the terrorists, said that, even if Emwazi had been killed, the family of the 47-year-old would not get closure following his brutal murder. She said: "I don't think there will be closure, particularly for Alan's family and close friends. "His body wasn't returned home and from that aspect it was something they had to deal with privately. For them to say that Jihadi John has been killed doesn't mean anything. It is something that the Government can say they have done successfully," she said. She added that she would have preferred Emwazi to have been brought back to the UK to face justice. In the videos, a tall masked figure clad in black and speaking in a British accent typically began one of the gruesome videos with a political rant and a kneeling hostage before him, then ended it holding an oversize knife in his hand with the headless victim lying before him in the sand. 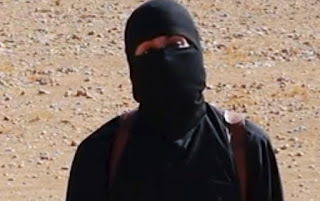 Emwazi was identified as "Jihadi John" last February, although a lawyer who once represented Emwazi's father told reporters that there was no evidence supporting the accusation. Experts and others later confirmed the identification. Emwazi was born in Kuwait and spent part of his childhood in the poor Taima area of Jahra before moving to Britain while still a boy, according to news reports quoting Syrian activists who knew the family. He attended state schools in London, then studied computer science at the University of Westminster before leaving for Syria in 2013. The woman who had been the principal at London's Quintin Kynaston Academy told the BBC earlier this year that Emwazi had been quiet and "reasonably hard-working." Officials said Britain's intelligence community had Emwazi on its list of potential terror suspects for years but was unable to prevent him from traveling to Syria. He had been known to the nation's intelligence services since at least 2009, when he was connected with investigations into terrorism in Somalia.